Celtic Mowers offer a lot of different types of machinery, therefore needing to target different audiences. This brochure is aimed at Caravan and Camp Sites, offering large machinery suited to them. 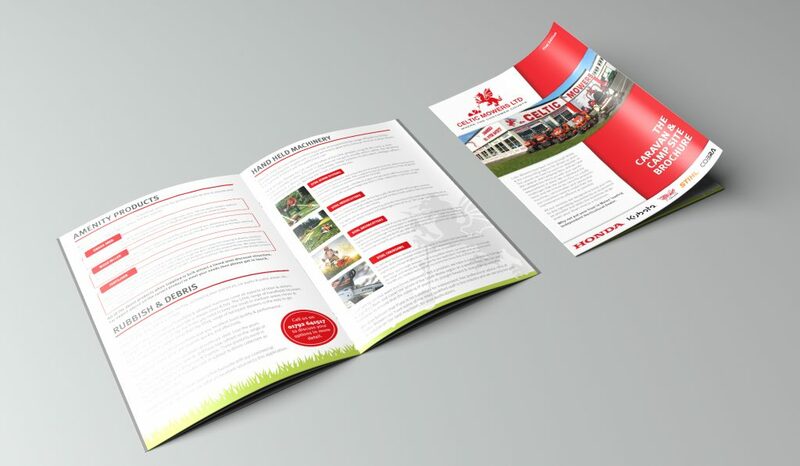 This brochure is 8 pages at A5 size, printed in 170gsm inner pages, 300gsm cover with a silk finish and saddle stitched.